J.K. Memorial Field - Help Needed! I hope everyone had a Great Holiday and a Happy New Year! It's hard to believe that our Spring Registration has already begun and in a couple months the fields will be open with soccer activity. 2017 is going to be an exciting year for Boyertown Soccer Club. BSC will be moving forward with the construction of the Jacob "JK" Karnchanaphati Memorial Field. Jacob was a 12-year-old student of the Boyertown Area School District who passed away in 2015. He was an active member of the Boyertown Soccer Club and played for both travel and recreational teams. Jacob will forever be remembered for his love of soccer and nickname, "JK". Jacob's family wanted to create this Memorial Field to honor JK's love of the game and to provide a place for Boyertown Soccer Club players to share their love of the game as well. As you can imagine a project like this is not easy to accomplish. The two key elements we need to complete this project are volunteers and financial support. 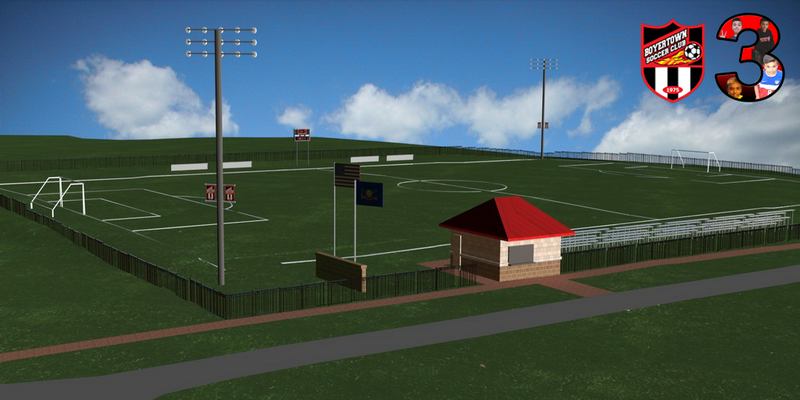 JK's family has been extremely supportive in the construction of the field along with the Boyertown Soccer Club. Washington Township is leasing the land under the premise that the Club build and maintain the JK Memorial Field. We also have a fantastic group of individuals who have been working on getting field designs and engineering specs completed. As you can see we are off to a great start, but we do need more help and support. I am asking for some volunteers to help us in our fundraising efforts. I would need about 5 to 6 dedicated individuals who would be willing to help generate fundraising ideas and help execute those ideas successfully. I do realize time is sometimes not a luxury we all have, but what I would be asking for would equate to a few hours a week of your time and would mostly be handled via email. We are actually looking at kicking off our fundraising campaign in late April with what I think will be an awesome evening. The field will be constructed in Washington Township on Niantic Road across from Washington Township Park referred to as Victoria Field Complex by BSC. The Washington Township Board of Supervisors have been very supportive of our efforts to construct the JK Memorial Field. We plan on building the field with lights so our players will have a chance to play games into the evening hours. This is a field which will be utilized by our Travel, Recreational and Intramural Programs and will provide players with a great experience. If you are interested and willing to help, please send me an email at fundraising@boyertownsoccerclub.net. Also, if you happen to be a business owner or work for a company in our community and you are interested in being a field sponsor, please let me know. We do have different levels of sponsorship available and we will be creating a sponsor wall as part of the JK Memorial Field. If you are interested in being a field sponsor, you can also send an email to fundraising@boyertownsoccerclub.net. Please take some time and consider being part of something that will give back to our community for years to come. On behalf of JK's Family and the Boyertown Soccer Club, I want to thank you all for your consideration and support.